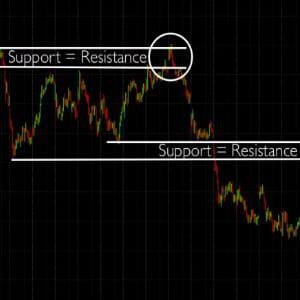 By knowing the difference types of support/resistance that occur in Day Trading you can take advantage of them. Do not make the mistake by going short just above major support or long just below major resistance. Another way to increase the odds of success is to know the difference between tested and not tested support/resistance. They are traded differently so not knowing can be costly. Last but not least using support/resistance for analysis is a great way to increase the odds of trading on the right side of the market. Pick your trades wisely by using the material taught in the video above and you will one big step closer to profitability.